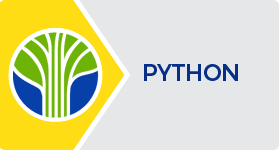 Learning Tree is proud to offer the following Python Programming Specialist & Expert Certifications, so you can validate your Python programming skills. As a Certified Specialist in Python Programming, you are able to use the essentials and implement best practices of the Python language to develop applications, automate administrative tasks and integrate systems effectively using this powerful and flexible object-oriented scripting language. The Learning Tree Certification Program is a great resume builder. It also led me to courses I might not otherwise have taken that turned out to be extremely beneficial.